Welcome back. Last week, I ventured into the mundane with my treatise on food shopping. I hope you won’t mind if I stay there a little longer to do the laundry. In my first blog post, I said I wouldn’t cover this topic. I was young and naive and forgot how fascinating laundry can be. 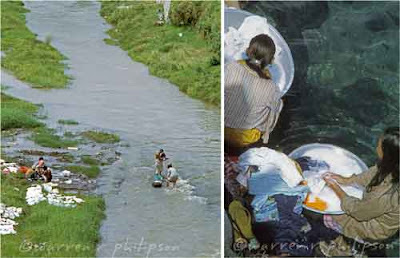 Laundry day on the river. Philippines, 1971. We have a fully functional washing machine and matching dryer near our kitchen (i.e., inside the house). Consumer Reports recommended them highly when we were looking, yet those lists often change as soon as you’ve made your choice. 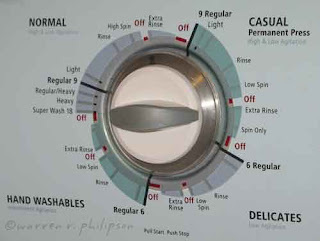 Our washer and dryer each have multiple settings, which I’m sure I studied when the machines were installed. Because I use the same settings for everything, I no longer have a firm grasp on the range of capabilities available to me. No problem. The dials are intuitively clear. One dial on the washer, for example, says Water Temperature. That’s hard to beat for clarity. I keep the dial at Warm. 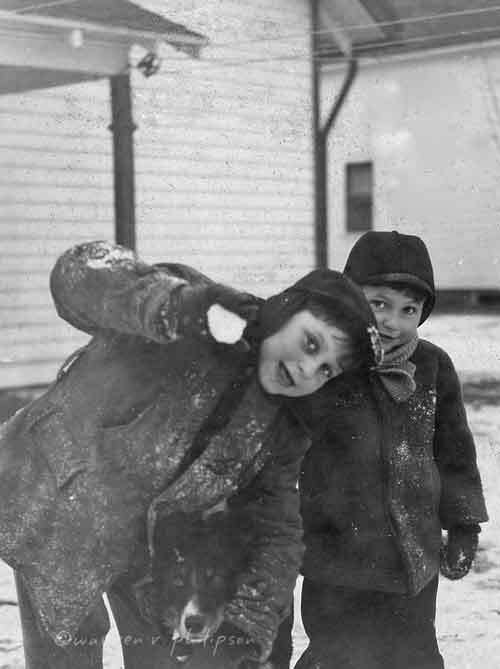 I realize that some clothes under some conditions should be washed in cold or hot water. 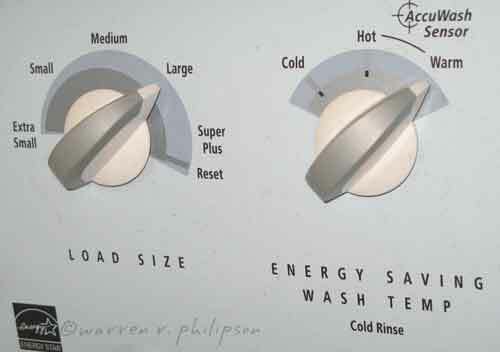 With lots to think about early in the morning when I do laundry, I figure splitting the difference is best. 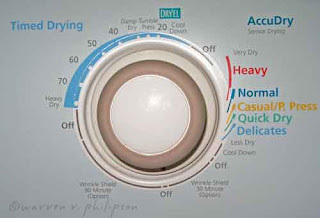 Washer load and temperature settings. This thermal compromise had disastrous consequences when our son went off to college with my laundry instructions. He inadvertently washed his clothes in hot water in the laundry room of his freshman dorm. If only he had a little brother. Being a role model for my son the shrinker, when I was a freshman, I laundered my chemistry lab book. I emptied my laundry bag into the washer, forgetting that I’d squeezed more than laundry into the bag. Bits of white pages and orange book cover clung intimately to every article of clothes that I pulled from the washer. My chemistry lab instructor, a non-native speaker of English or other known languages, didn’t quite understand. “The dog ate my homework” might have been clearer. Chemistry was never my forte; less so after that wash. I dry heavy things (towels) separately from light things (sheets). I use Timed Drying and interrupt the process to check when I have a hunch everything’s dry. One of these days I’ll try the automatic sensor settings. I am an uncontrolled lint-trap cleaner, removing and scraping the screen whenever the dryer is at rest. I take maximum advantage of a vintage drying rack and our second floor railing, but it would be nice to have the backyard clothesline I grew up with. The birds and squirrels would love it. They should take it up with the Home Owners’ Association. That’s all the laundry I’d like to air. Thanks for stopping by. I’ll write again in about a week.